The Ultra4 series of races will continue with the Best in the Desert Silver State 300 April 28th in Las Vegas Nevada. The top 20 finishers in the Griffin King of the Hammers have already solidified their position in next year’s big show, but the Silver State 300 marks the next attempt teams will have to qualify. The top ten drivers from each event will find themselves qualified for the 2012 Ultra4 Season opener at King of the Hammers. As teams become qualified less finisher will qualify. Considering it is likely that some teams will continue to find themselves in the top ten at races throughout the year, Hammerking will guarantee that at least 5 teams from each event will qualify. As we get later in the season, you may find teams outside the top ten are advancing to KOH. In addition Hammerking will partner with select 4wheel drive endurance races to offer stand alone qualified spots. Badlands Park in Attica Indiana is currently in the process of finalizing its stand alone event for 3 qualifier positions. OG 13 drivers may continue to exercise their rights to a grand fathered position in the race, but the number of OG drivers has significantly decreased over the last 5 years. Hammerking does not allow an OG 13 spot to be sold, but does allow OG members to team with others in an effort to keep the “Old Geezers” of Ultra4 around. 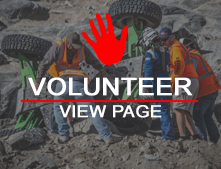 Ultra4 Tour events are as follows. 2011 KOH 20 spots advanced.